NEW PLAN. Every minute, people across the world upload 450 hours’ worth of video to YouTube. So far, it’s been pretty much impossible to make sure none of that content contributes to the problem of “fake news” — but YouTube is determined to make an effort to combat it. NEW FEATURES. The post also details several new site features YouTube has begun rolling out (or will roll out in the coming months) to fight fake news. Those include an expansion of YouTube’s breaking news section and features that make it easier to access local news. 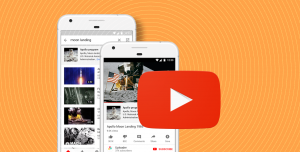 To provide viewers with more context, YouTube is also including content from third parties alongside videos of some historical or scientific topics often subject to misinformation. For example, they now include information from Encyclopædia Britannica alongside videos of the Moon landing (which, yes, did happen). OLD NEWS. YouTube isn’t the only tech company taking steps to address the spread of fake news. In June, Facebook announced plans to publish news shows by a select number of “trusted” companies. Facebook and YouTube choose which news sources are “reliable,” but both of their announcements included CNN and Fox — two news sources many Americans consider politically biased and unreliable. The companies appear more interesting in appeasing users on both sides of the political spectrum than they are with actually identifying the most accurate news sources. Of all of YouTube’s efforts to fight fake news, the one it mentions last might prove to be the most effective. YouTube also plans to work with MediaWise on the initiative’s efforts to improve teens’ digital literacy. In doing so, they’ll help ensure that future generations of news consumers approach all content with a healthy dose of skepticism — the kind they’ll need to find the truth in those many hours of YouTube videos the company is betting they’ll watch.